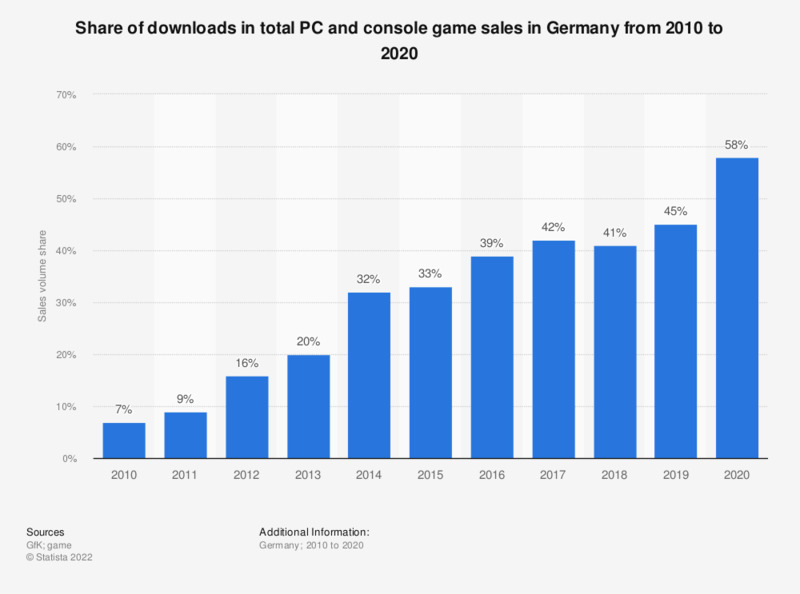 This statistic shows data on the share of game downloads in all PC and console game sales in Germany from 2010 to 2017. In 2017, downloads had a sales volume share of roughly 42 percent, an increase compared to the previous year, at 39 percent. * Including video games for handheld devices. Statistics on "Gaming consoles in the United Kingdom (UK)"
Which games console/s do you or does anyone in your household have at the moment? Have you ever downloaded games from the internet to play on any of the devices you use for games playing? How many video game titles do you download a month for PC or Mobile?